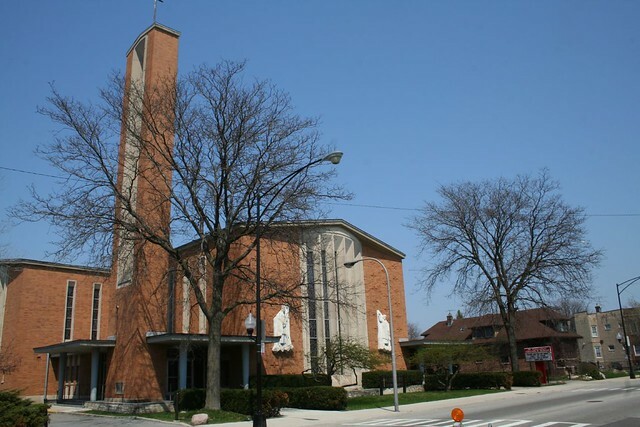 St. Cornelius Church forms a dramatic intrusion into the residential buildings along western Foster Avenue. 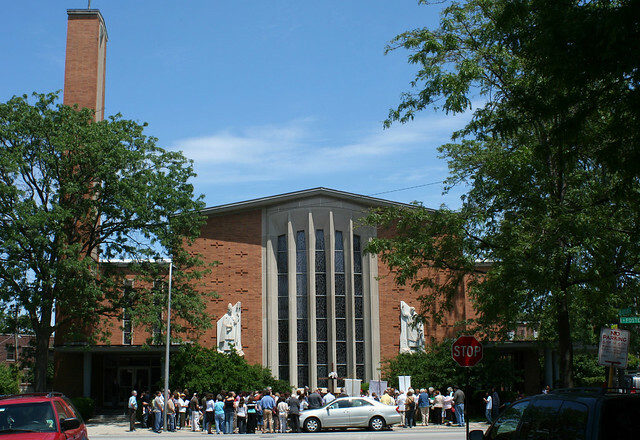 Though the building sits at 5420 W. Foster Avenue, the parish – founded in 1925 – has roots on an adjacent site at 5205 Lieb. 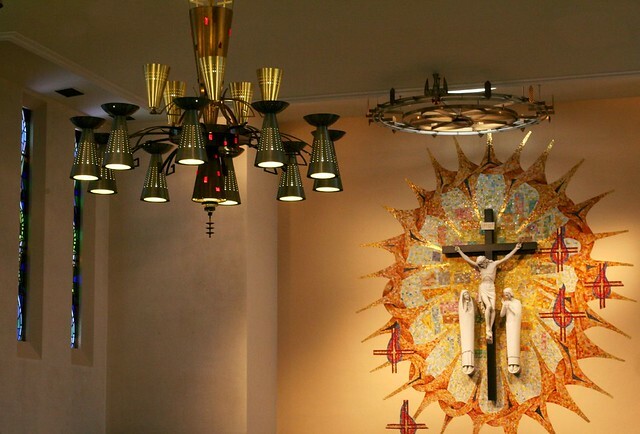 After a school expansion, dramatic overcrowding prompted planning to begin for a new church building in 1962, along with a parking lot on a lot just to the east. 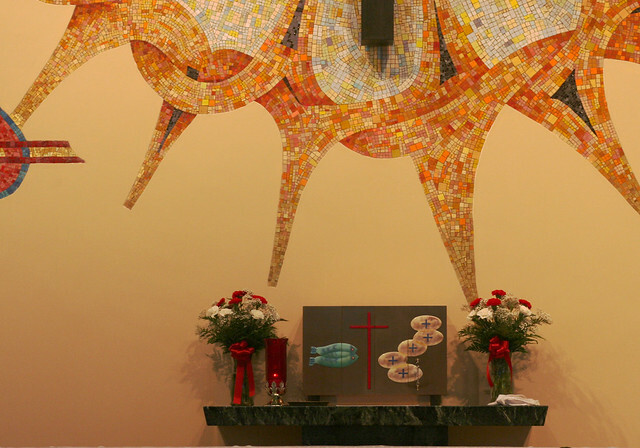 The cornerstone was laid in 1964, and the building was dedicated in June 1965. 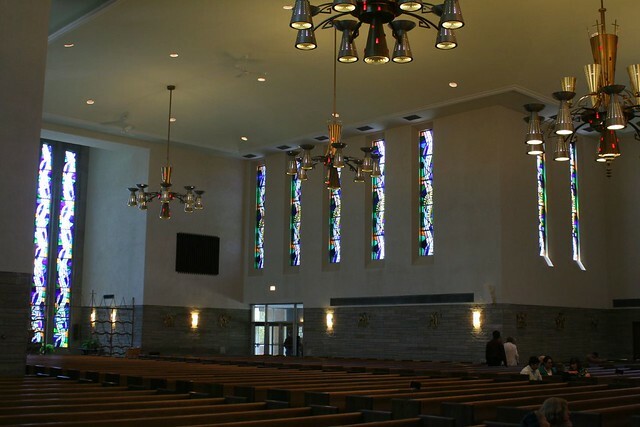 Spacious and airy, St. Cornelius seats 1100 in its sanctuary. Lannon stone forms a base, while plain plaster walls and ceilings rise above. 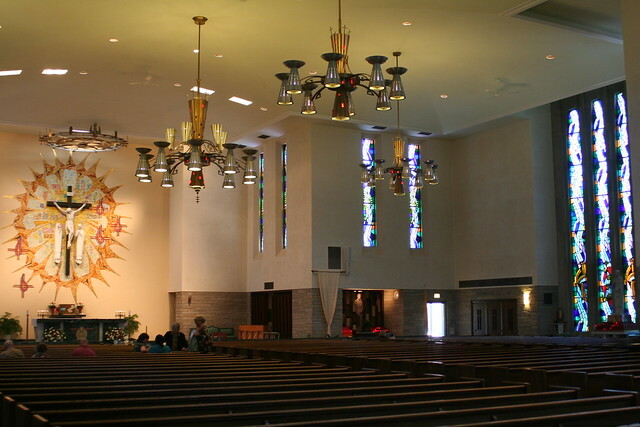 It is an extremely plain space – decoration is spare and strategic, limited primarily to the elaborate lamp fixtures, a spectacular tile mosaic behind the altar, thin ribbons of stained glass, and a stylized baldachin over the altar. 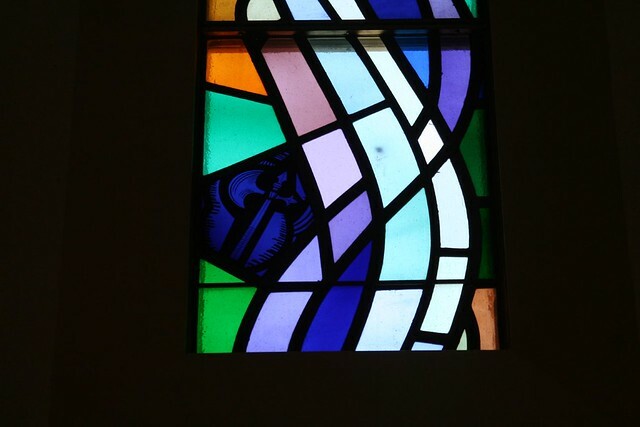 The stained glass is modernistic and mostly abstract, flecked with fishes, sheaths of wheat, and other Christian symbols. 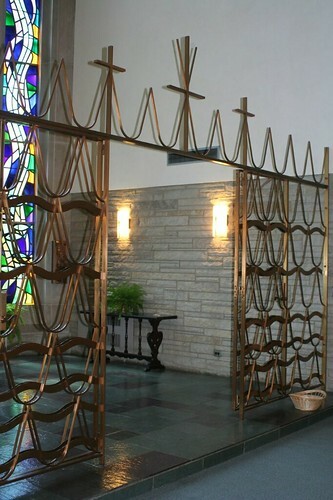 The baptistery gate is an abstrct Modernist form. 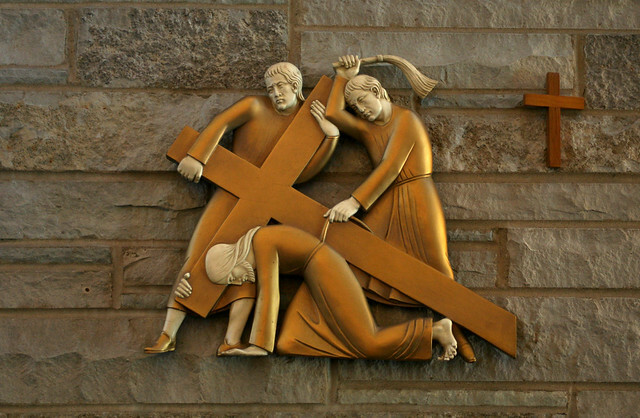 The stations of the cross are stylized but literal. Sited at the head of N. Lotus Avenue, St. Cornelius strikes an impressive profile when seen from the south. 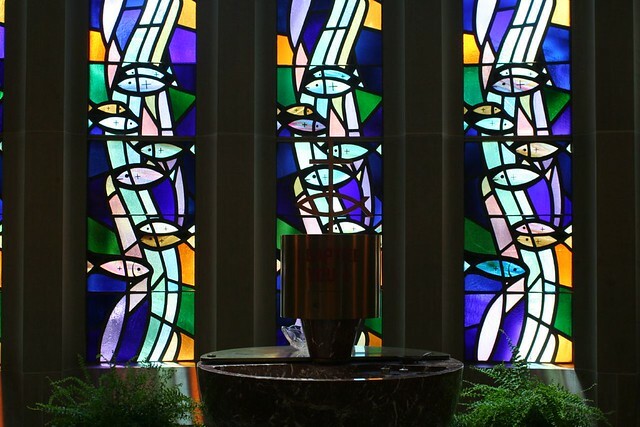 The main window is flanked by statues of Saint Cornelius (an early Pope from circa 250 AD) and Saint Peter, and glows handsomely when the sanctuary is in use at night.